The Fitch ratings agency has lowered Cyprus's rating by one notch to BB+ from BBB- and kept a negative outlook, which means more downgrades are possible in the coming months due to a possible worsening situation in Greece. 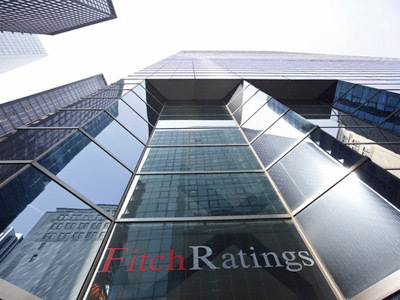 With the downgrade, Fitch is now in line with other major ratings agencies – Moody's and Standard & Poor's – in pushing Cyprus' credit rating into junk territory. Fitch also expects Cyprus government debt will rise above 100 percent of GDP, more than 12 points more than its previous estimate. The agency said that a government target to bring the budget deficit below 3 percent of GDP through another round of spending cuts and tax increases will be missed by as much as a percentage point. Cyprus is struggling to find about €1.8 billion ($2.26 billion) – or about a tenth of its GDP – by the end of the month to recapitalize its second largest lender, Cyprus Popular Bank. 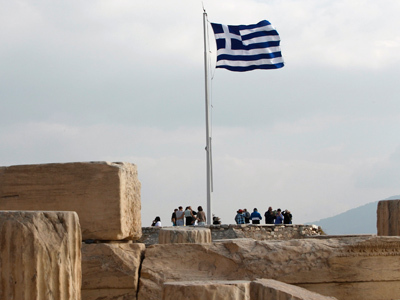 It is the most heavily exposed of the country's banks to Greek government debt. Cyprus has fallen victim of Greece’s problems, and is considering help from both the EU and Russia. Cypriot banks will also suffer more losses on loans to Greek businesses and households as the Greek economy continues to contract. Fitch estimates Cyprus will need another €4 billion ($5 billion) to recapitalize its banking sector due to their Greek exposure and because of a rise in bad loans over the last year as the Cypriot economy has shrunk and unemployment has soared to record levels. "Fitch acknowledges that its estimates of the losses and capital needs of Cypriot banks are subject to considerable uncertainty and are conservative," the agency said. "Nonetheless, in Fitch's opinion, Cypriot banks will require substantial injections of capital in order to secure confidence in their financial stability." The agency said it expects Cyprus to take a bilateral loan – likely from Russia – to cover its refinancing needs of some €2.25 billion ($2.82 billion) for next year, but also expects the country to apply for an EU bailout to help with the banks' recapitalization. Unable to borrow from international markets due to its junk credit rating, Cyprus has had to rely on a €2.5 billion ($3.13 billion) loan from Russia to cover its needs for the year. Cypriot Finance Minister Vassos Shiarly said that unlike a loan from Russia, European aid would come with conditions, probably including implementation of the European Commission’s recent recommendations intended to rectify macroeconomic imbalances and overhaul the Cypriot economy. Fitch also sees the Cypriot economy stagnating this year, though it expects a return to growth over the medium-term as long as the government manages to keep the deficit below 3 percent of GDP next year.